Salt Lake City, often referred to as Salt Lake or simply SLC, is the capital and the most populous city in the state of Utah. As such, it has become an extremely hot real estate market. Along with Seattle, Denver and several California cities, Salt Lake City has one of the fastest moving housing markets, with equally aggressive price gains. The Salt Lake City real estate market has a median home price of $243,300. In getting to that point, homes in the area have appreciated at a rate of four percent in the last year. The national appreciation rate, on the other hand, is slightly higher (6.7%). Despite appreciating at a higher rate, however, the average home price across the country is approximately $40,000 less than the average in Salt Lake City. Homes in Salt Lake City continue to grow relative to last year, and experts remain encouraged that prices will continue to rise, albeit at a slower pace than they are currently. Not surprisingly, Salt Lake City boasts a strong local economy. The area’s economic outlook should receive a lot of support for the job sector, as employment has held up and is on an upward trend. In fact, Salt Lake City’s unemployment rate is better than the national average and improving. No more than a year ago, unemployment topped out at 4.2 percent. Today, unemployment is at an impressive 3.5 percent. The improvement alone is enough to get excited about the areas potential, but not many cities across the country can say their unemployment rate is sub-four percent. The national average is 5.5 percent. If that wasn’t enough, job growth looks sustainable and should support supply and demand in the near future. The job growth rate for Salt Lake City in the last year was 3.6 percent. That is nearly two times the national average. Positive signs in the local economy have bolstered new housing construction, which is now 20.2 percent higher than its long-term average. This production could cause prices to moderate as inventory is built. Surprisingly, however, single-family homes have not joined in on the recent trend. Permits for single-family homes actually declined 6.5 percent from the previous year, lagging behind the national average, which jumped 3.1 percent to try and keep up with demand. With all that the Salt Lake City real estate market has going for it, there is one more indicator working in its favor that many may not even realize: affordability. Despite average home prices being above the national average, homes in Salt Lake City are more affordable than most other markets. Not only that, but affordability is historically strong. Homeowners in Salt Lake City spend an average of 12.1 percent of their income on monthly mortgage obligations, whereas the average homeowner in the U.S. spends about 14.3 percent. The savings certainly helps consumer confidence, and may even influence younger generations to move there. Homes purchased in the Salt Lake City housing market one year ago have appreciated, on average, by $12,935. The national average was $15,753 over the same period. Homes purchased in the Salt Lake City housing market five years ago have appreciated, on average, by $54,763. The national average was $47,444 over the same period. Homes purchased in the Salt Lake City housing market seven years ago have appreciated, on average, by $39,536. The national average was $17,200 over the same period. Homes purchased in the Salt Lake City housing market nine years ago have appreciated, on average, by $82,428. The national average actually declined by a modest $100 over the same period. According to RealtyTrac, the Salt Lake City real estate market has approximately 1,610 homes in some state of foreclosure (default, auction or bank-owned). Surprisingly, that number has surpassed both recently sold homes (1,276) and those that are currently on the market (999). On the other hand, foreclosures are actually down four percent relative to last year. Those interested in Salt Lake City real estate investing should find that these properties offer great spreads. Listings have declined 25.5 percent in Salt Lake City over the course of 12 months. In the last month, however, the decline slowed, dropping just 0.9 percent in one month. At the same time, median list prices have increased 12.1 percent. Despite the increase in prices, the median days on the market has seen a drop as well. Homes in the Salt Lake City real estate market are typically listed for about 49 days before they are sold, which is 9.4 percent less than it was just a year ago. 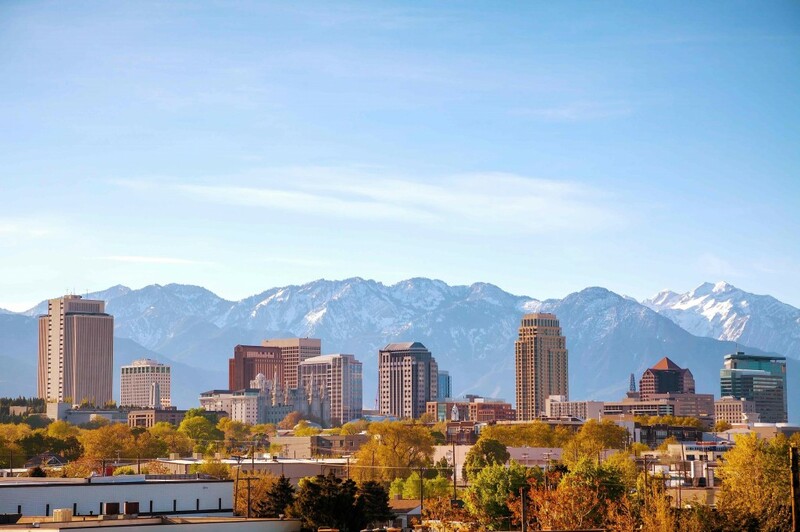 With the way Salt Lake City has trended since the recession, it is safe to say that it is a soft buyer’s market. Current inventory is ahead of demand, suggesting that great deals on homes are still available. Those interested in buy-and-hold Salt Lake City real estate investing will find the rental market to be affordable. While other cities have seen rents skyrocket, rent in Salt Lake City is relatively stable, and readily available. If your yearly income is around $60,000, you can afford to rent in this market. Rent prices have increased by 10 percent over the past three months. This is three percent lower than the county average of $1,457 and 13 percent higher than the state average of $1,230.